Who among us wouldn’t love a nice trip to a tropical island? Just imagine, taking in the views of their gorgeous beaches, feeling the sun shining on your face, and enjoying the the soothing sounds of the ocean. You could take a boat out in the water, swim with dolphins, or just enjoy a book on the beach. Who could ever ask for more? Of course, you’ll have your trusty smartphone by your side ready to capture all the little moments of your trip so that you can share them with all of your friends. After all, no vacation could be complete without a solid Instagram or Facebook post to update your followers on where you are and what you are doing on your trip. Now imagine that in the midst of a one of kind moment on your trip you lose your phone! Well, that’s what happened to Teressa Cee on her trip to the Bahamas in 2015. And while losing her phone was upsetting, what happened after was even more amazing. The entire mood of the trip was changed from this one moment when Teressa’s phone had an unexpected journey, and no one could have predicted what they would all being seeing out on the water. Teressa Cee is a dancer and model from Miami, Florida. She attended Florida International University where, in addition to getting her degree, she danced on the sidelines at the school’s football and basketball games. This helped her move forward in her dancing career, and in 2010 she joined the NBA’s professional basketball team, the Miami Heat, as one of their dancers. Today, in addition to being a part of the Heat’s dance team, Teressa also continues to dabble in modelling, and has done work in various advertisements, music videos, and commercials. She also does work with her various social media platforms, which have helped propel her into the public eye. To be a model in this current day and age, having an active social media presence can make a huge difference for your career. This is something Teressa seems to understand well as she is all over platforms such as Facebook, Twitter, and Instagram, in addition to a website she has created to promote her work. On Instagram alone she has over 26,000 followers, and on Twitter she has another 12,500. Given her many fans, not to mention the fans of the team she dances for, it’s no surprise that when she shared this surprising and fun story on her social media it quickly was shared all around the world. Teressa’s position with the Miami Heat sends her travelling all over, and lucky for her it eventually brought her to the Bahamas in 2015. The whole dance team was sent on a trip to the Bahamas for a promotional photo shoot that they were going to do. Getting sent to the Bahamas for business? Not a bad way to live if you ask us. Getting a free trip to a tropical island is already great, but little did she know the best was yet to come. 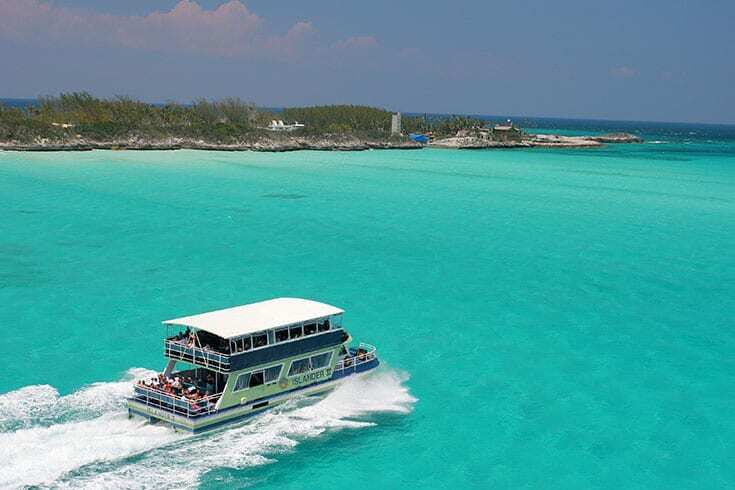 While in the Bahamas, Teressa and her teammates noticed that they were close to the private Blue Lagoon Island. The island is a well known place for tourists. 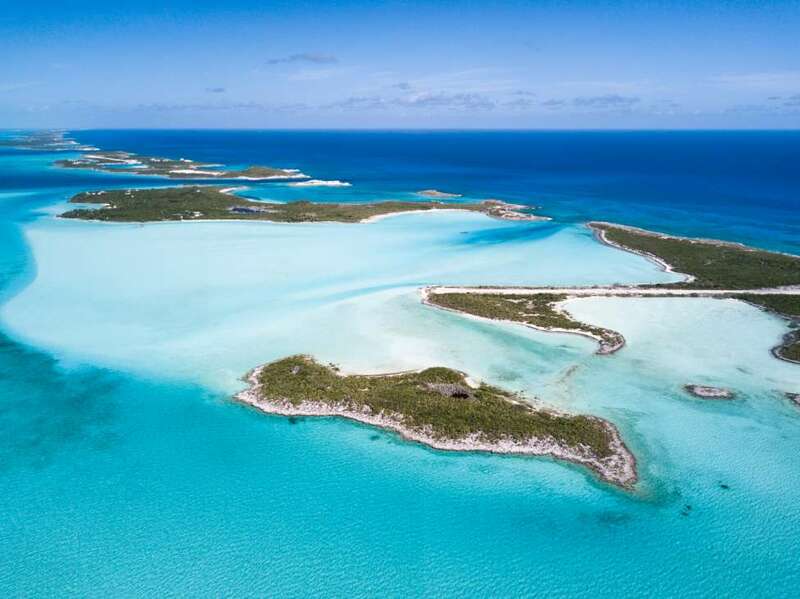 It is famous for its stunning beaches, blue-green lagoons, and vibrant coral reef. Many people also love going there to experience the native sea life it has to offer, including dolphins and adorable sea lions. The Heat dance team decided that even though they were there for business, it didn’t mean they couldn’t take time for some fun. 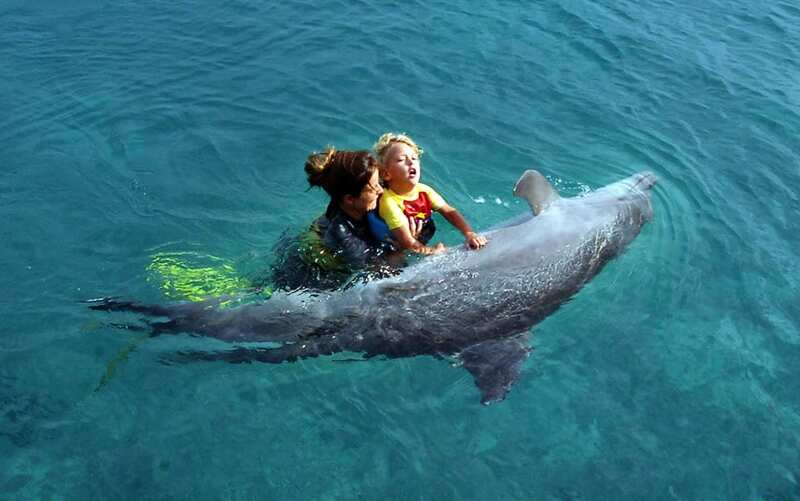 One of the many fun things you can do in Blue Lagoon in the Bahamas is swim with dolphins, or do what they call dolphin encounters. Teressa and her team thought that sounded like something fun to do, so off they went. For the first part of the encounter they were on a boat as the dolphins swam next to them, doing cute tricks at the command of their handlers. The whole group was having a blast looking over the edge of the boat and enjoying the dolphins’ company. Who among us doesn’t love to take a good selfie when we’re on a trip (or just in general)? But sometimes even the best selfie takers can’t get themselves in a good shot for a picture or video. 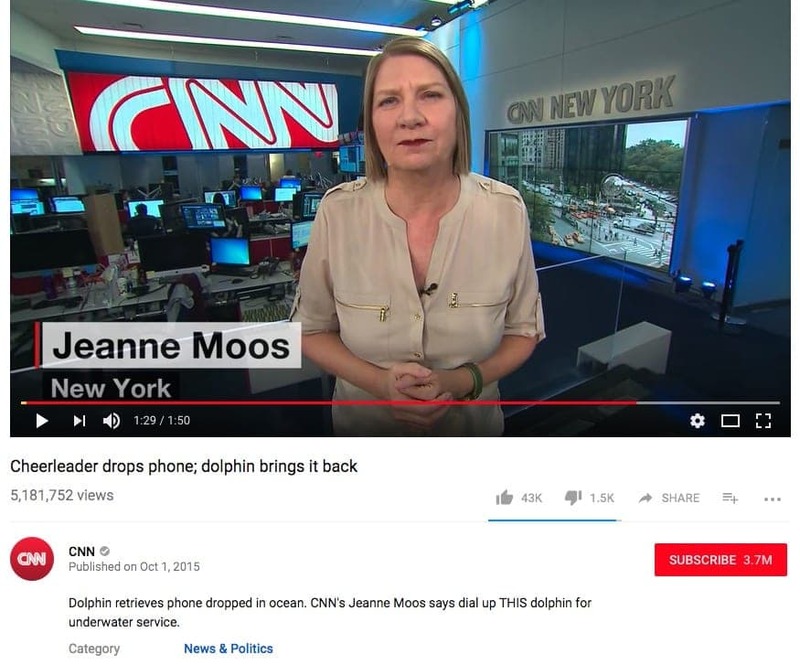 Teressa wanted to get some good footage of herself interacting with the dolphins, so she asked a friend on the boat to help out. Trusting a friend with your phone is no small thing, but we do what we have to do to get the shots we want. We like to hope that when we give friends things that belong to us they will take good care of them, but unfortunately accidents do happen. When Teressa handed her phone off to a friend to hold and take pictures for her, she was a little nervous entrusting it to them. So when her friend then went on to accidentally drop her phone in the water she could only look on horror as her phone sank into the ocean. What’s with all the commotion? Her distress did not go unnoticed, and people were doing their best to see where it had gone. They could see a bit of it, but it was too far down to save. But there seemed to be quite a commotion going on. Trainers hands were flying trying to signal the dolphins, people were talking, and they could see some movement happening below the surface. Teressa, still in shock from her phone’s lost, was trying to figure out just what was going on? Before anyone could get a grasp on what was happening, a dolphin suddenly broke through the surface. What should be in his beak? Teressa’s phone! 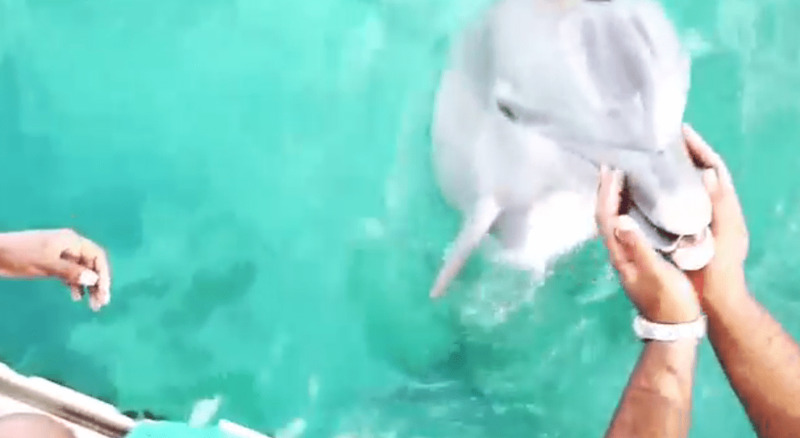 Everyone watched in total surprise as the dolphin swiftly delivered the phone into her friend’s hands, offering some happy squeaks as if to say, “You’re welcome.” Luckily for us, the entire exchange was captured on film and it’s adorable to witness. It was the last thing anyone had expected to see, but talk about a happy surprise! Everyone was in complete shock over the dolphin’s efforts. When she saw the dolphin Teressa squealed, “Oh my god! So cute!” And who could blame her? Everyone on the boat was laughing as Teressa got her phone back, and they tried to wrap their heads around what they just witnessed. 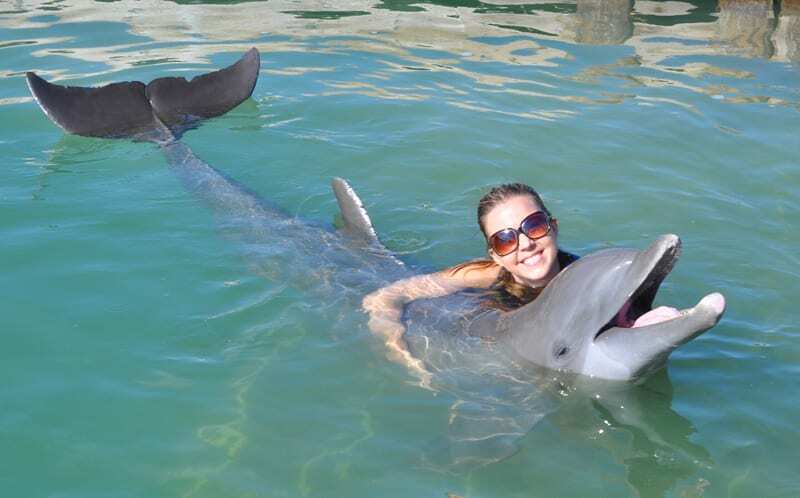 She made sure to offer the dolphin, name Cacique, her thanks. It was unlikely the phone would work again, but Teressa was still thankful just the same. Teressa wasn’t the only one who was totally surprised by Cacique’s actions, the dolphin trainer with them also couldn’t believe what he saw. During the commotion the trainer had been signaling to the dolphins, and Teressa described it saying his fingers were in the shape of a diamond. But despite the signals, he still never expected Cacique to actually pick the phone up and bring it back to the surface. Teressa shared that he was just as surprised as her. Being the social media star that she is, Teressa immediately shared what happened on her Facebook and Twitter pages. From there it didn’t take long to go viral! The video on Facebook has had over 3.2 million views, and the one on Twitter has had over 10.8 million. Each post also has thousands of likes and comments. People just couldn’t get enough of how adorable Cacique was returning her phone. Even two years after it first went up it was still being shared by fans. This wasn’t a story that just got shared around social media. News sites and stations soon caught wind of it as well and couldn’t resist sharing the feel good tale. Sites such as The Daily Mail, Tech Times, Express, and MSN all picked up the story. Teressa even got a call from major news network CNN, who did a fun two minute segment on the story. No longer was it just something being talked about in Miami or on the internet, Teressa’s name was everywhere. 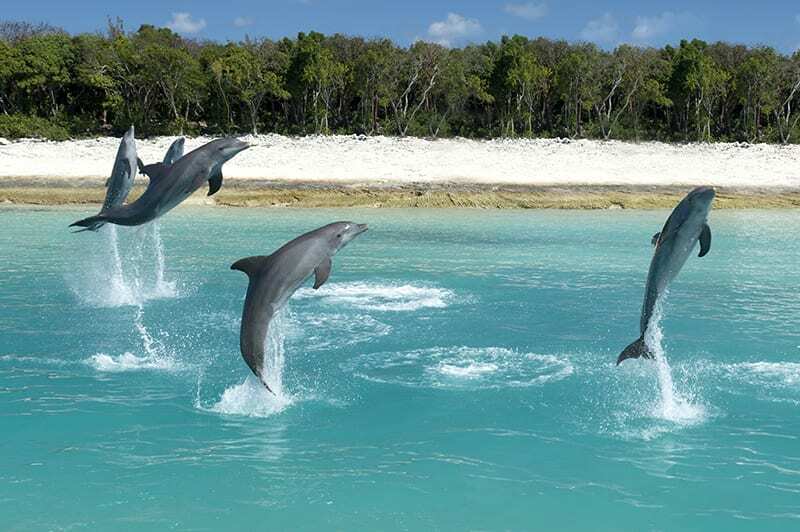 It has become fairly well known that dolphins are highly intelligent creatures. It’s difficult to measure their intelligence through IQ tests the way scientists do for land based mammals, but many believe that their intelligence is second only to humans. Some environmental scientists even argue that they are just as, if not more, intelligent than humans. They’re ability to comprehend and understand their surroundings, as well as us, is truly incredible to witness. Not only that, but they seem to have a grasp for understanding emotions as well. 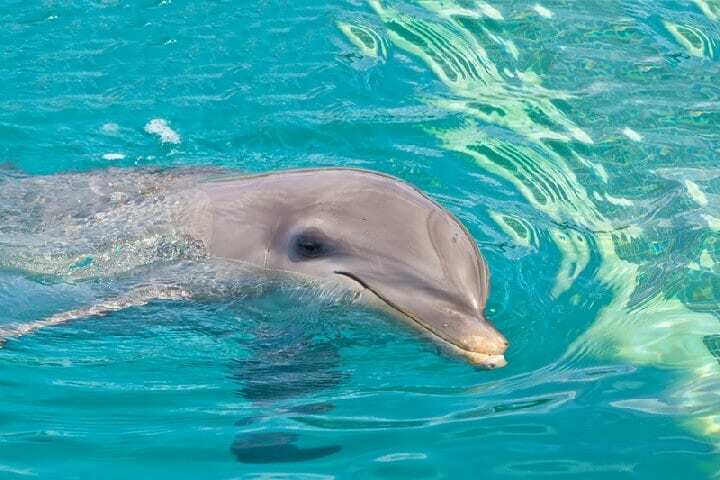 Not only are dolphins intelligent, but they also have an incredible ability for empathy, particularly when it comes to humans. It is not uncommon to hear of dolphins coming to a human’s aid when they are in distress in the water, or wanting to offer comfort. Some experts theorized that it’s possible Cacique sensed Teressa’s distress when her phone fell, and that is what inspired him to retrieve it. He just wanted to make her feel better. Teressa was so touched by Cacique’s efforts to try and save her phone on her behalf, and she was sure to thank him. 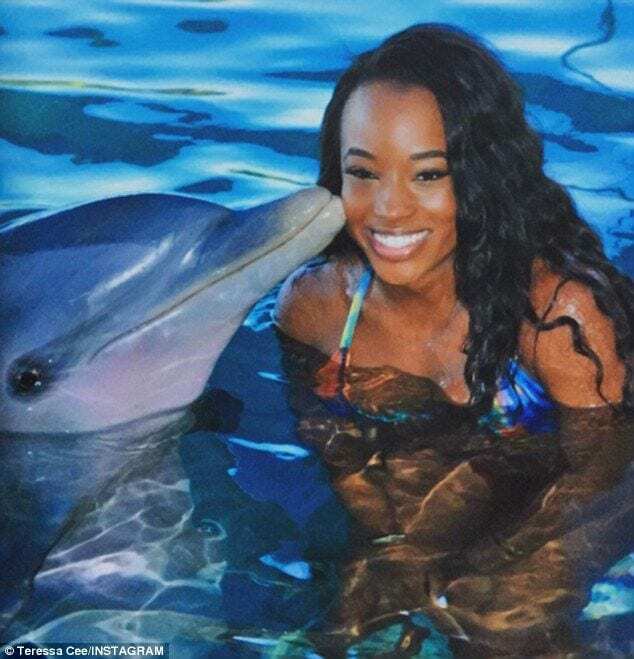 After the encounter on the boat, the Miami Heat dance team had the chance to actually get in the water with the dolphins. Teressa did some dancing with Cacique, and gave him the thank you kiss he had been asking for. 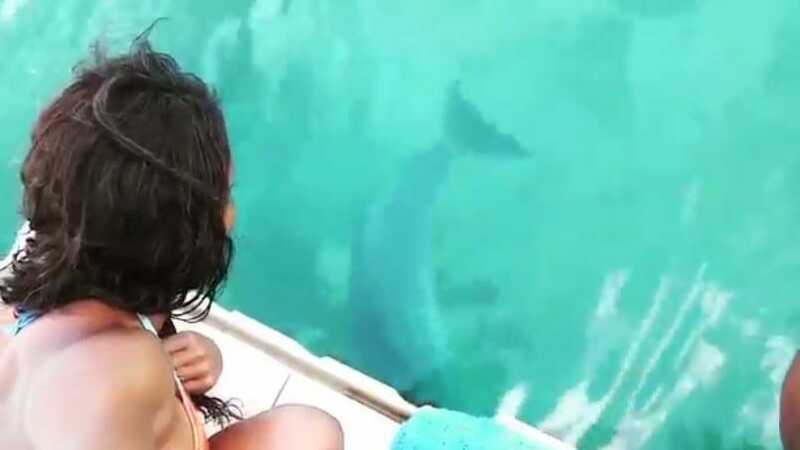 Although, she later confessed that she wasn’t a fan of kissing the dolphin, explaining that he had been a bit aggressive in the way he asked. 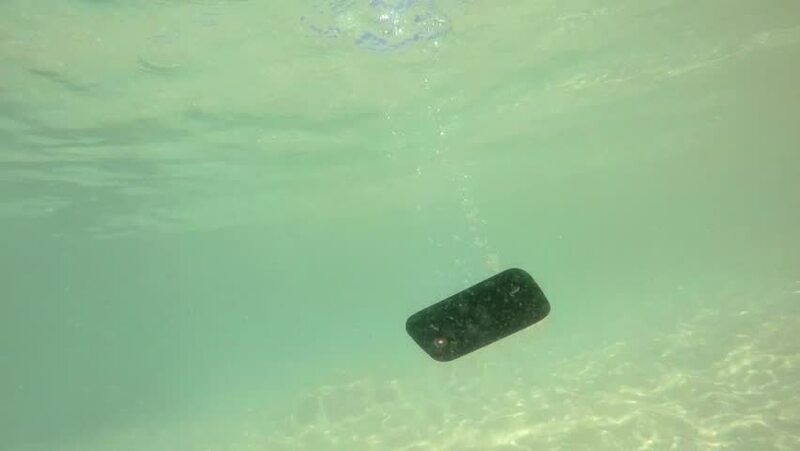 Despite Cacique’s heroic rescue of the Teressa’s phone from the ocean floor, the damage had already been done by the time it came back up to the surface. People had hoped that maybe it could be saved, and on social media some even commented asking about it. Teressa replied to her followers that unfortunately the phone was completely waterlogged and beyond repair. Hopefully, she had all her information saved in the cloud, because replacing everything is never easy! 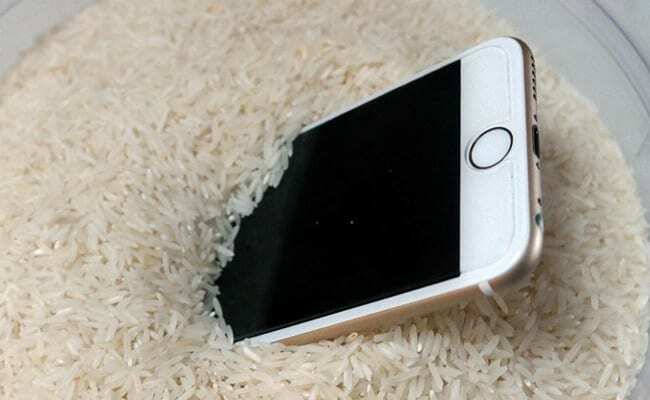 Can a wet phone be saved? 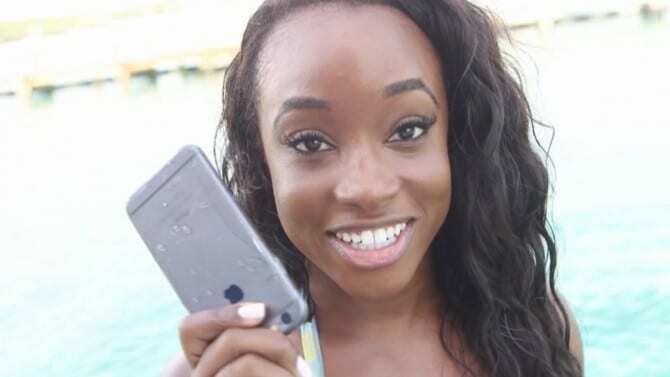 If you do drop your phone in water like Teressa did, it doesn’t have to be as hopeless as her case. The first thing to do is get it out of the water ASAP, and make sure the power is off. 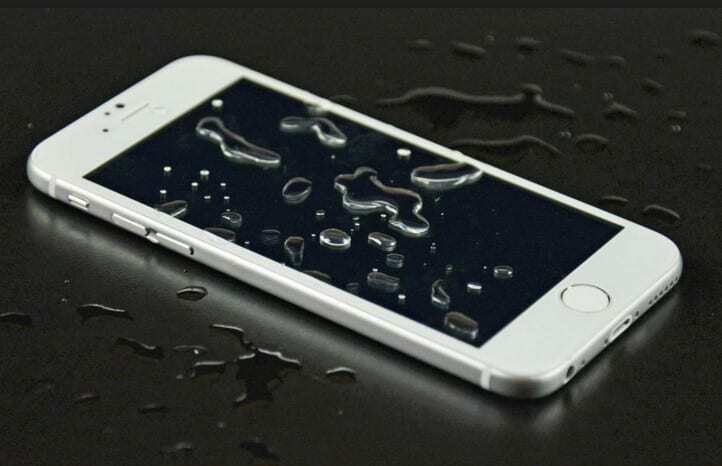 Next you need to dry your phone as much as possible, before finding something to leave it in to continue soaking up the moisture. Some people use rice, although experts say using things like silica gel, sponges, or even oatmeal is a better bet. 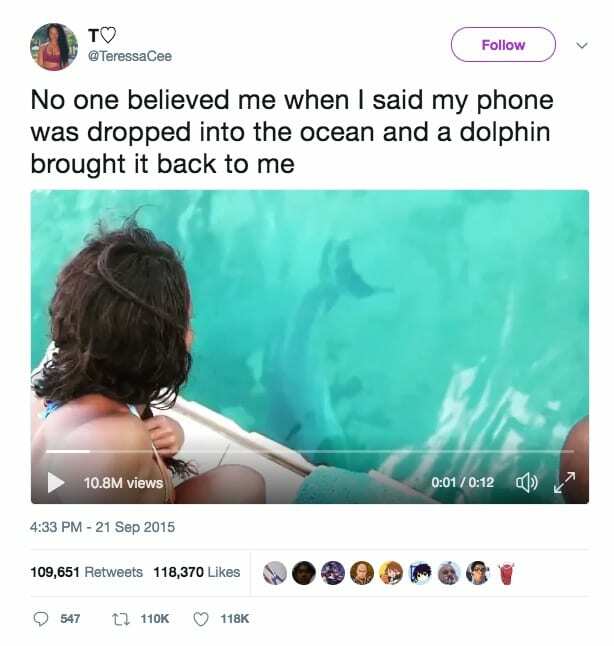 If you do find yourself in a situation like Teressa (minus the dolphin), and end up with a phone that’s been completely destroyed all hope is still not lost. 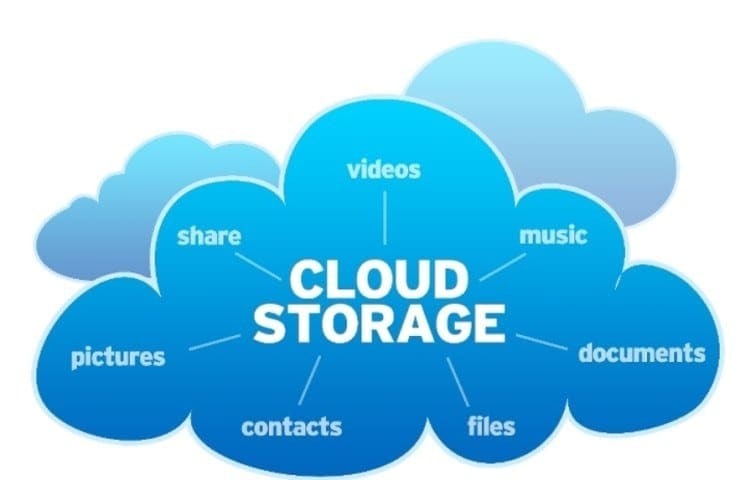 These days there are many virtual ways to store your information, and the best way is to use the “cloud.” The cloud is a place that can store all of your contacts, music, photos, and more, and you can access it on any device. So if you need to replace a phone at least you won’t lose your friends’ numbers in the process. Not enough can be said about how amazing dolphins are. Not only are they intelligent, and empathetic, but they also love to be helpful. We saw that with Cacique rescuing Teressa’s phone, but they have been known to go above and beyond, even saving people’s lives. There have been many cases of dolphins rescuing people from sharks, saving drowning victims, or even helping humans through various kinds of therapy sessions. 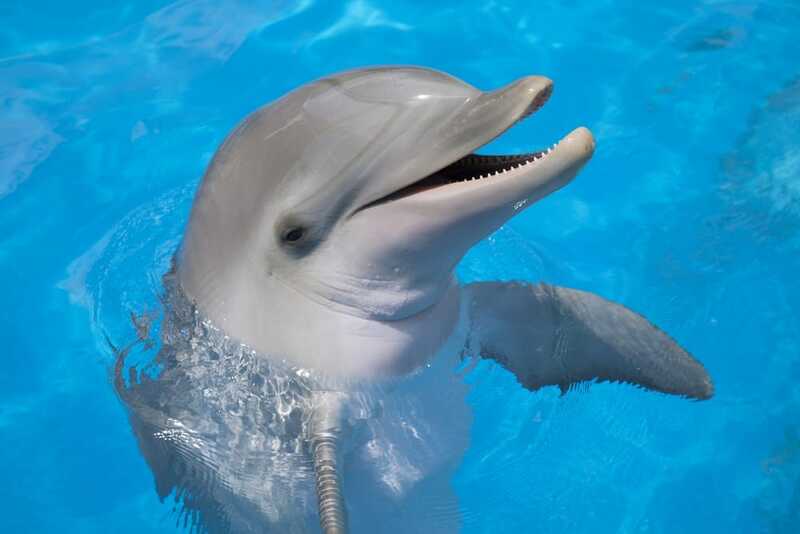 There’s a reason dolphins inspire movies like Flipper.